[toc]Every person wants to look youthful and beautiful. But as we age, your skin loses moisture and elasticity, giving rise to wrinkles and fine lines. Aging is an inevitable process. But by taking proper care of our skin we can delay the signs of aging. Because of stress, pollution, sun rays and harsh chemicals our skin becomes dry, patchy and wrinkly. Some people are also prone to hyperpigmentation, breakouts and dark spots. All these skin conditions mars the beauty of the face and makes one look older than one’s age. However, there are some natural remedies that can help mature skin to look youthful again. 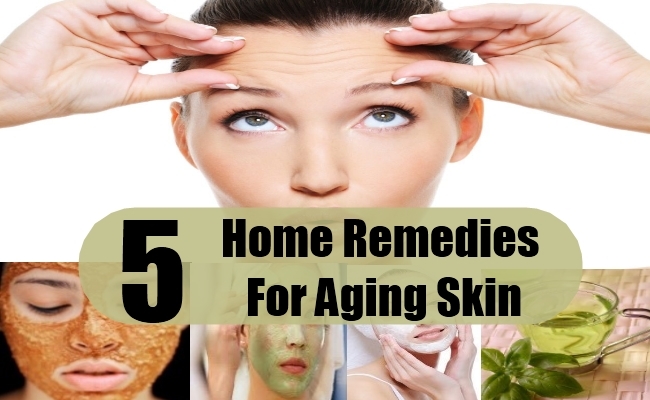 Here we present to you some home remedies that are effective for aging skin. Peel and cut a ripe papaya into small pieces. Take three tablespoons of diced papaya in a small bowl and add a tablespoon of pure honey to it. Mash the papaya with the back of a spoon until the papaya becomes mushy. 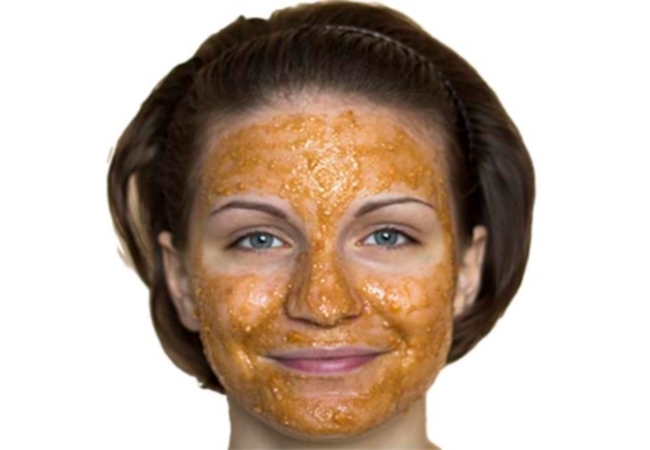 Once the honey and papaya is well combined, apply this mask over your face and neck. Allow it to remain for 20-25 minutes before washing off with water. Papaya contains enzymes and beta hydroxyl acids that removes the dead skin cells and excess oil and dirt from skin. It rejuvenates the skin and gives it a beautiful glow. Regular use of this natural exfoliant will make your skin smooth and wrinkle free. Extract the juice of an orange and keep it aside. Grate a tomato and pass it through a sieve to extract the pure tomato juice. Now, mix equal quantities of orange juice with equal quantities of tomato juice in a clean glass jar. Screw the lid of the jar and give the jar a good shake. Place the jar in the refrigerator. Every morning after washing your face, dab this homemade toner all over your face and neck. Tomato is rich in lycopene, a compound that is shown to smoothen skin. Orange juice is rich in vitamin C that aids in repairing and lightening skin. This toner is ideal for people who have sun damaged skin. You can store this toner in the refrigerator for about a week. 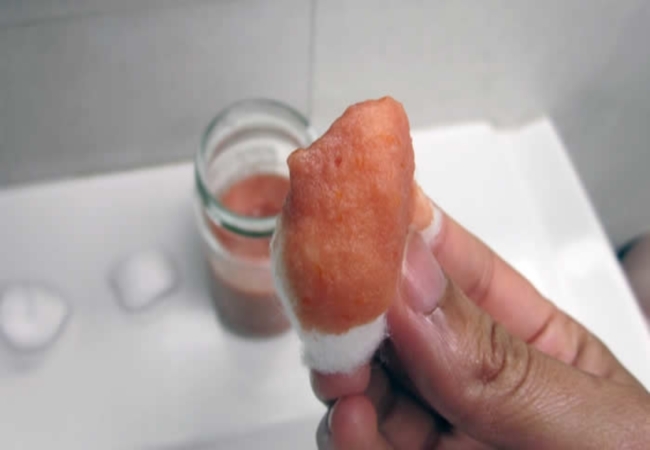 Wash and peel a carrot and then grate it in a food processor. In a medium-sized bowl add the grated carrot. To this, add a tablespoon of freshly squeezed lime juice and a tablespoon of aloe vera gel. Combine all the ingredients well. Lie down and apply the carrot and aloe vera mask over your face in an even layer. Wash the mask off after half an hour. Carrots contain beta carotene and vitamin A which tightens skin and plumps fine lines and wrinkles. Aloe vera soothes skin and prevents breakouts. One of the most well-known home remedy for mature skin is the egg white mask. Egg whites contain proteins that helps to plump up the skin and reduces the appearance of fine lines. Take two egg whites in a food processor and whisk until you have stiff peaks. With the help of a brush, apply the egg white over your face in an even layer. Once the mask dries, wash face with plain water. Brew a bag of green tea in hot water. Once the tea is cool, squeeze out the excess water from the tea bag and discard the tea bag. Now, soak a cotton ball in the green tea and dab it over your face and neck. Do not wash your face but apply moisturizer directly. Green tea contains antioxidants catechins and epicatechins that helps reducing wrinkles. 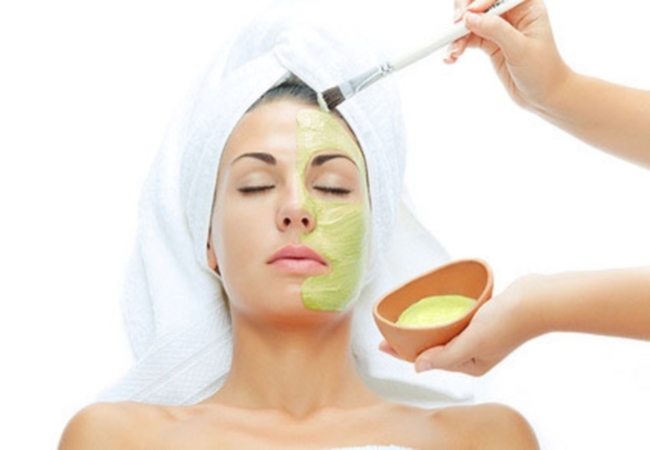 These were a few home remedies by which you can take care of aging skin. It is also important that you have a healthy diet that is rich in omega-3 fatty acids and vitamins to keep your skin smooth and healthy. Also drink adequate amounts of water and stay away from cigarettes and junk food.